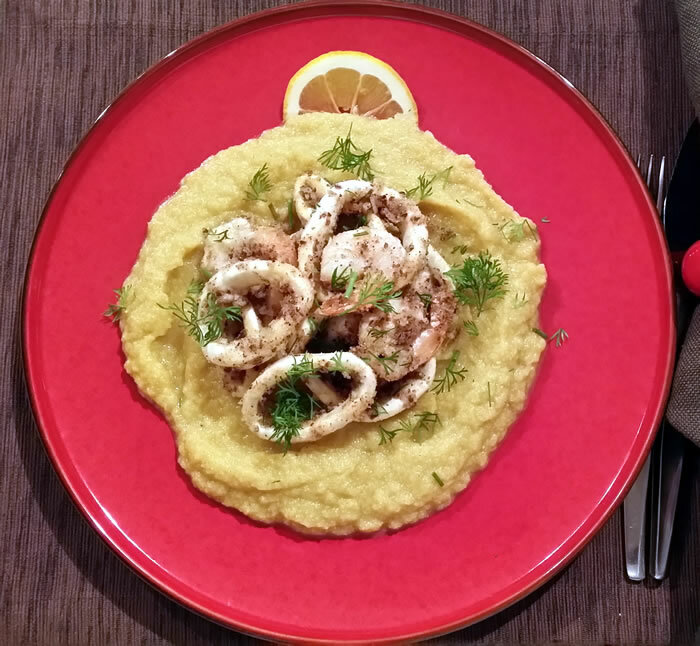 This is really two separate recipes that go really well together or the seafood could be served with rice and/or salad if preferred and the puree would go well with spicy tofu, haloumi or any type of meat or fish. The puree has a subtle flavour so works well paired with something a little spicy. I think of cottage cheese as poor man’s ricotta, so you can use ricotta if you’re feeling a little more decadent. 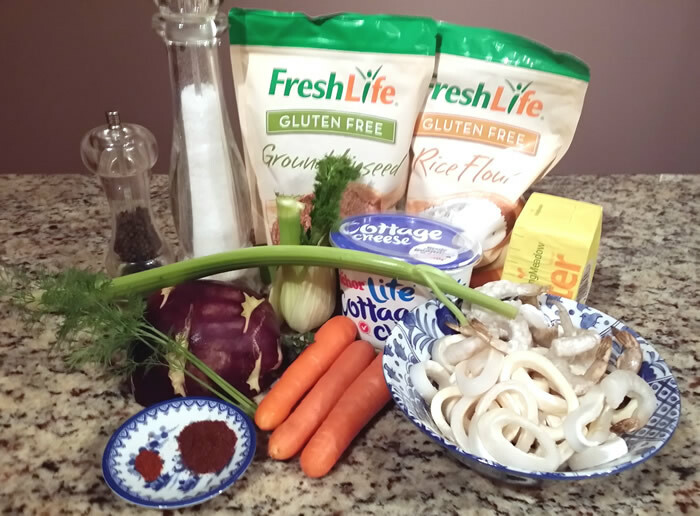 I’ve used rice flour and ground linseed to make this recipe gluten-free and the lightness of the rice flour is actually preferable to wheat flour in my opinion. Linseed (also known as flaxseed) is a source of fibre and also Omega 3 fatty acids and has a delicious nutty flavour which is perfect combined with lemony sumac, chilli, salt and pepper used to coat the seafood before frying. 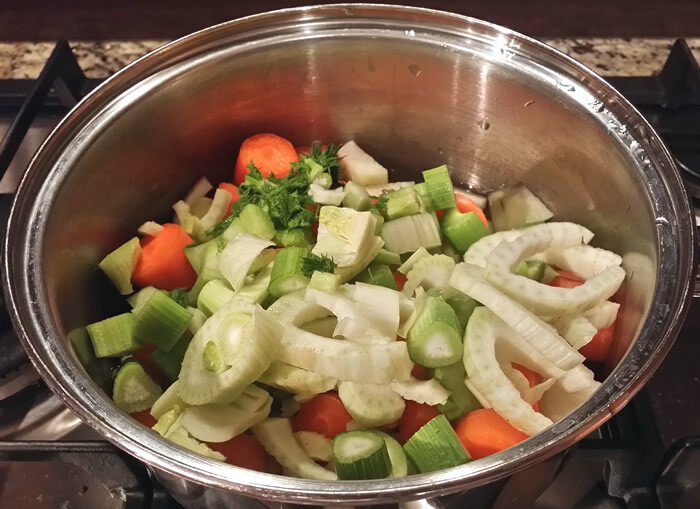 Put all the vegetables in a large pan of salted water, cover, bring to the boil and boil until carrots are soft (about 15 minutes) and drain. 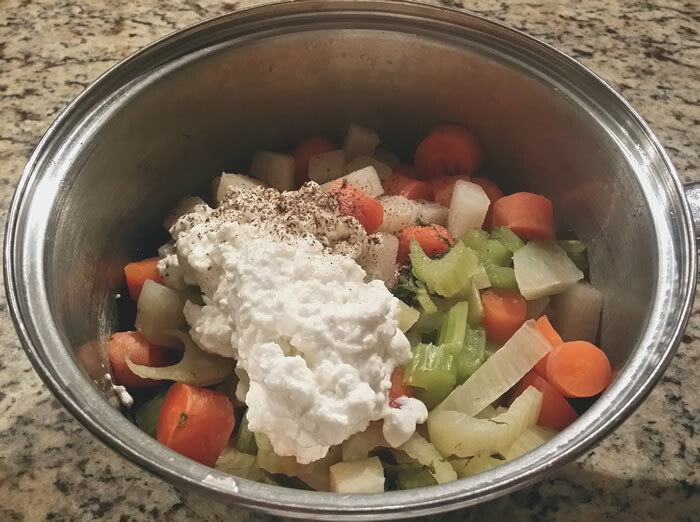 Add cottage cheese, salt and pepper and puree using a stick blender. Set aside keeping warm. 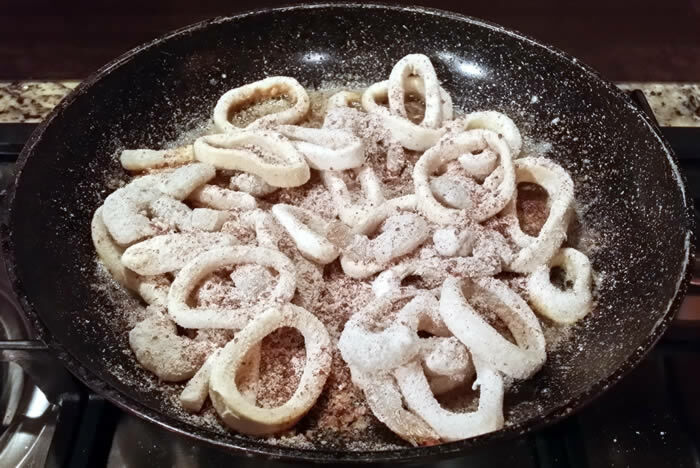 Mix flour, linseed, spices, salt & pepper together and toss with the squid and prawns. 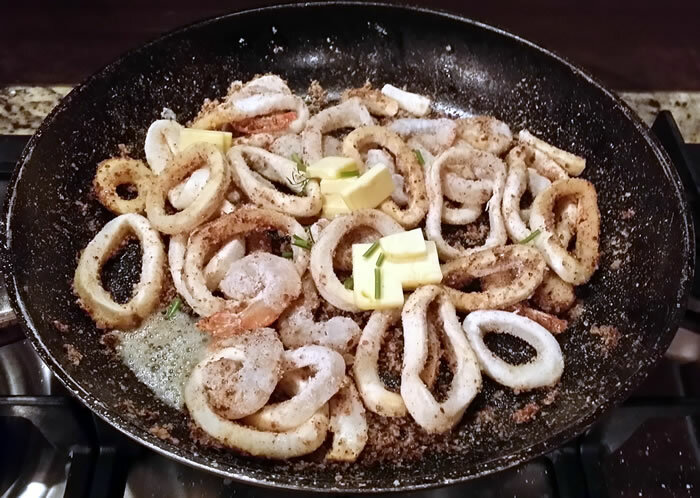 Heat the oil and half of the butter in a large frypan and add the seafood mixture and cook over medium heat. When the flour starts to brown (after about 5 minutes) add the rest of the butter and the chopped stalks of the dill and keep frying, stirring until it is all cooked evenly (another 5 minutes). 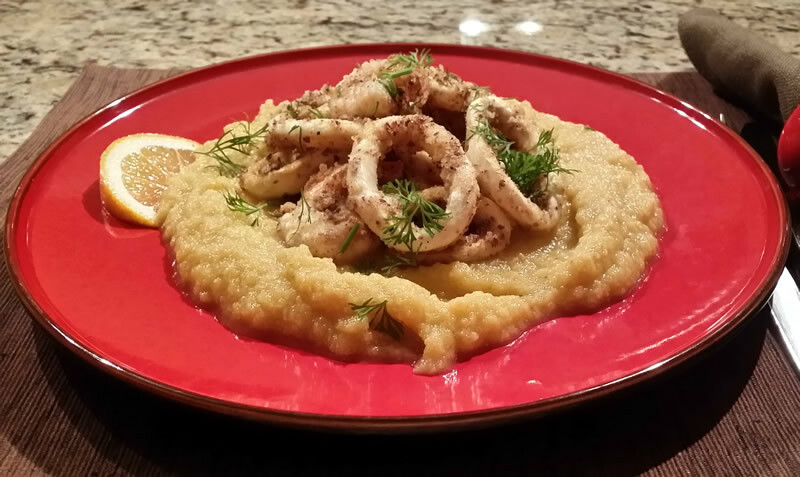 Spread the puree on a plate and top with the seafood. Garnish with dill and a lemon slice and serve immediately.